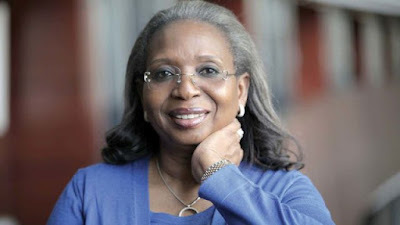 Chairman of First Bank of Nigeria (FBN), Mrs. Ibukun Awosika, has identified ethno-centrism as the main problem of the country.She said that if Nigeria sees itself as one entity and works for the common good of all, irrespective of ethnic differences, there would be development and progress. Awosika, who spoke at the 18th edition of NECCIPr roundtable with the theme: “2018 Youth Debate From Potential to Reality” held at Victoria Island, Lagos, said: “If we can have a tribe of youths irrespective of our diverse differences and tribes with a common goal that is detribalised, the country would be a better place for all. In a similar vein, former Minister of Education and Convener, Bring Back Our Girls (BBOG), Dr. Oby Ezekwesili, identified character, competence and capacity to move the country forward.She said these were the things that make for good governance in any country that is experiencing growth and development. Ezekwesili, who bemoaned the abysmal level of gender parity and youths’ exclusion in governance, therefore, urged the youths to equip themselves to be able to take up the challenge of the country. However, the Convener, Nkechi Ali-Balogun, said the programme was aimed at fostering a paradigm shift in the norm by arguing for greater inclusion of youths in the design and implementation of interventions targeted at their socio-economic advancement and the nation.